Did you know that the 4-year CSU tuition freeze is almost over? Before the Governor put a moratorium on tuition increasing, CSU administrators raised our tuition 283% over the course of 10 years, until we stood up and fought back. 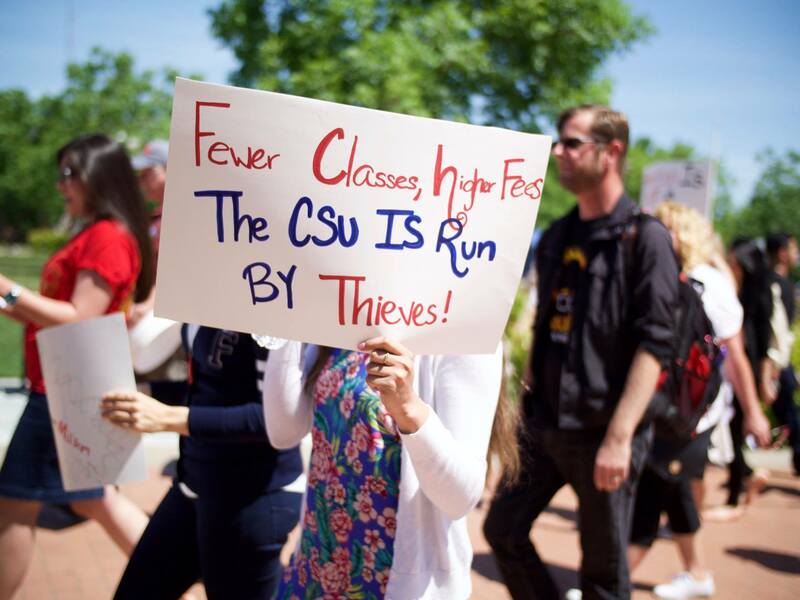 Students’ hard work won us some more money in the budget and a freeze on tuition, but since then the CSU has continued to privatize our education and misplace their priorities. They’ve hired more administrators instead of tenure-line faculty (paying them huge amounts). They’ve under-funded ethnic studies, the arts, and gender and sexuality studies. They’ve offered no transparency in how they are spending the money that they get from us and from the state. And now the tuition freeze is ending and the Board of Trustees is proposing that tuition start increasing again every year! We are paying more for lower quality education! 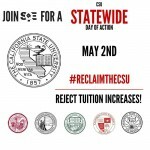 It is time to fight back and Reclaim the CSU: Join SQE on May 2 – the day after May Day, when we celebrate workers around the world – for a statewide day of action. 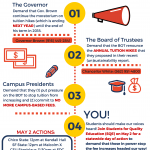 We will demand an end to fee increases and a return to the ideals of the CA Master Plan, which committed the CSU to providing tuition-free education for all students. There will be actions at Chico State, SF State, CSU Stanislaus, Cal Poly Slo, and CSULA. Find more details on our statewide Facebook event page and check back for more information as we get closer.  Whatever campus you are on, if you want to get involved in this fight please contact your SQE chapter. PrevFaculty Reach Tentative Agreement with CSU, Strike Called Off!Next“Reclaim the CSU” Day of Action is Right Around the Corner!